Share a book you can read again and again without getting bored. Well, I have to admit I’m a big re-reader of novels. Often I wish I wasn’t, because just think of all the marvellous books out there I never seem to have time to read. But the simple fact is sometimes (if I’m having a bad day, for example) I return to a book I know I’ll love, rather than risk dissatisfaction with something untested. 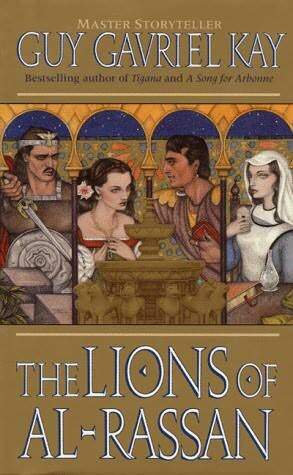 Today I’m highlighting one of my all time favourite fantasy novels, The Lions of Al-Rassan, by Guy Gavriel Kay. I’ve mentioned it a few times before on this blog, but it’s so fabulous I’m plugging it again. I’ve read it about four times in the past 20 years (nearly) since it came out. And every time I love it. If you take the novel at face-value, it’s the story of two powerful men from different and opposing backgrounds, each of whom falls out with his respective leader and is exiled to the same remote city where they form an unlikely friendship and mutual respect. The other main characters are a female physician from an outlawed culture, and a young soldier whose personal journey shows how one’s perspective and allegiance can change through experience. Over the centuries, the once stern rulers of Al-Rassan have been seduced by sensuous pleasures. Now King Almalik of Cartada is on the ascendancy, adding city after city to his realm, aided by his friend and advisor, the notorious Ammar ibn Khairan–poet, diplomat, soldier–until a summer day of savage brutality changes their relationship forever. Meanwhile, in the north, the Jaddite’s most celebrated–and feared–military leader, Rodrigo Belmonte, and Ammar meet. Sharing the interwoven fate of both men is Jehane, the beautiful, accomplished court physician, whose own skills play an increasing role as Al-Rassan is swept to the brink of holy war, and beyond…. In a magnificent setting, hauntingly evocative of medieval Spain, The Lions of Al-Rassan is both a brilliant adventure and a deeply moving story of love, divided loyalties, and what happens to men and women when hardening beliefs begin to remake–or destroy–a world. I love this book for its marvellous characters, thought-provoking drama, and poignant love triangle. Every time I read it, I get something new out of it. Spending time with these amazing characters in this richly evocative world is a truly immersive and inspiring experience. It doesn’t take much insight to realise there’s a whole lot simmering beneath the surface of this novel. The fantastical world is an alternate version of medieval Moorish Spain, which experienced a Golden Age of tolerance, art and philosophy, where people of different cultures and religions lived side-by-side in harmony… until it all started to crumble. Set against a backdrop of the fall of Granada — the last Moorish stronghold in Spain — and the legend of El Cid (who was historically much earlier, but this IS a fantasy novel), The Lions of Al-Rassan explores themes of how religion can underpin prejudices, alliances and conflict. I get so much more out of the novel, knowing this. Moreover, this novel was the number one reason I tailored my last European holiday around visiting the Alhambra in Granada, which provided much of the inspiration for The Lions of Al-Rassan. Here’s one of my favourite photos from that visit. For further information, reviews and discussion about this remarkable book, visit the dedicated page (with links) on Kay’s web site. If you’re interested in my travels in Andalucia (the relevant part of Spain), see this series of posts on my other(earlier) blog. This one is about the Alhambra specifically. We’ll be tweeting to #wanafriday and tagging blog posts wanafriday as well. If you care to play too, please post your link in the comments and I’ll update the post. Or just join in! Or, if not, please do share your favourite re-reading books in the comments. I’d love to hear about them. I loved ‘Lions,’ but I have to admit, my favorite Guy Gavriel Kay novel is ‘Under Heaven.’ I enjoyed your review, it’s nice to see people plugging a good, thoughtful book. Thanks for stopping by — it’s lovely to meet another Guy Gavriel Kay fan. I haven’t read Under Heaven yet… Glad to hear it’s good! Spain is so fabulous. If you do pick up Lions, I hope you enjoy it! Thanks, Laura. I love that you tailored your trip to Spain around your love of this book. Sounds like it continues to have a powerful pull on you. I’m really intrigued by it, especially after reading the excerpt from the author’s interview that you highlighted. Heh – I do that a lot, actually. 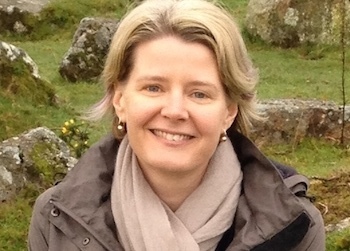 Every time I read a novel set in an exotic location I get a yearning to go there! It’s a fabulous book, and I think understanding his intention re religion/culture really adds to the read. It was written in 1996, but in today’s world with all these awful things happening in the name of religion, it’s chillingly relevant. This sounds like a wonderful read–just the sumptuousness I enjoy–with romance. I’ve already put it on my to be read list on Goodreads. Great post. I hope you enjoy it, Cora. It’s a meaty book, with lots to think about. The love story thread is understated but very powerful. Better get on it! It’s easily my favourite. I enjoyed the Last Light of the Sun, but I can’t remember much about it, and I don’t think I LOVED it. Tigana would probably be my next favourite, although I’ve only read it the once. In fact, I think Lions is the only one I’ve read multiple times. Sounds like a good book. I’ll have to try it out! Hope you enjoy it! Thanks for visiting. It’s so cool that you were there! The building is gorgeous. 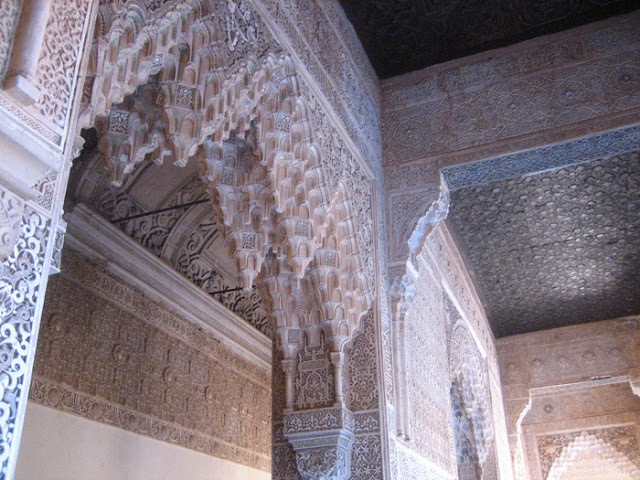 Yeah, the Alhambra is amazing – it’s a massive complex of palaces, gardens, forts and other buildings. I spent an entire day there. Highly recommended! Hope you enjoy the book if you read it! I’ve never read Kay’s work, but you’ve given me another push to try it. I think he’s a fabulous writer. A cut above in the thought stakes. Enjoy. I’ve only read one Guy Gavriel Kay book–Under Heaven–which I chose precisely because it’s set in a fictional analogue of imperial China and I wanted to see what he did with it. I liked it enough that I’d give another of his books a go one of these days, perhaps even this very one you think so highly of. It sounds pretty great. Who’da thought your Art Appreciation class would come up two weeks in a row?! I’m yet to finish Under Heaven — but I believe there’s a sequel just come out…??? He’s a wonderful writer – one of the ones I think I’d like to “write like”. In one of my house move I got rid of a lot of books including Lions, but I kept A Song for Arbonne. I must reread them both to work out why I kept Song. Thanks for upping my TBR list. I bought this book over a year ago based on your recommendation, and I still haven’t read it. I think I will make it my next book to read! Good idea, Nat!! Hope you like it. Hi Manfred – Well, I presume you’ve read Guy Gavriel Kay’s other works, but if you haven’t start there. Otherwise, I’m not sure there’s anything else quite like them. Other fantasy novels I love for their characters, heart and grand elegance include Robin Hobb’s books, especially the Liveship Traders series; and Jacqueline Carey’s Kushiel’s Dart (and sequels), which I’m re-reading at the moment. Thanks for dropping by!